Truck operators all over India went off roads on Friday (July 20) to demand a reduction in diesel prices and toll fees. This has impacted the supply of essentials like foods and vegetables in the country. “As much as 80 to 90 per cent of the fresh food produced has not reached the market from the past four days. Today is the fourth day since the lorry strike started,” says Kultaran Singh Aitwal, chairman of All India Motor Transport Corporation (AIMPC), the truck operators’ umbrella body. 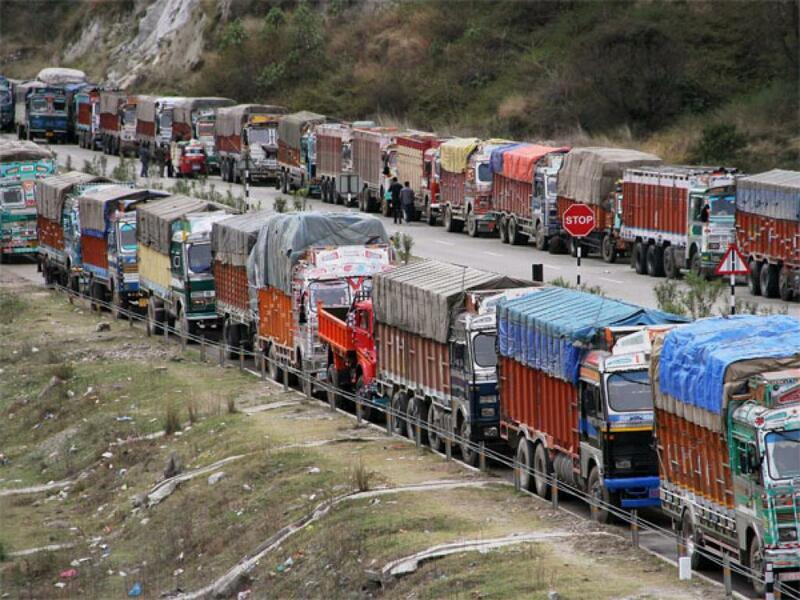 He adds that the truckers in the country have incurred a loss of more than Rs 3,400 crore owing to the strike. Moreover, the strike has caused prices of vegetables to increase as the markets are running out of stock. A media report states that the prices of vegetables and other crops have gone up by 20-30 per cent. One such example is green chilli, the cost of which has risen from Rs 30 to Rs 60 per kg. Farmers from Karnataka took the produce to roads themselves and stopped the traffic for a while to try and convince truck owners to drop the strike as their produces are meeting huge losses. “Till now, the food sector has incurred a loss of more than Rs 10,000 crore for supply of grains and vegetables,” says MJ Khan, chairman, Indian Council of Food and Agriculture. He adds that the food processing factories are facing immense problem as the raw materials are not available because of the ongoing strike and not even a single truck has been noticed moving. “The Centre must intervene immediately and listen to the demands of the transport union as it is crucial to get the transportation system back to normal,” says Khan. Experts say that if the strike continues for more than 10 days the food prices will further shoot up. “ (2). July-August 2018 :- The indications of likely trends for mid-March to 31 May 2018 given here look to be applying with greater visibility to July-August 2018 also. In addition , it may be in the fitness of things to guard against likely earthquakes , floods , fires , landslides and WHILE DRIVING ON ROAD OR RAIL. Hydro-power projects or places where explosives or chemicals or gases are stored may need more care and attention. Northern India may also keep these in mind”.